We started at Italy and now are heading over the French riviera with the absolutely spectacular Bagatelle. 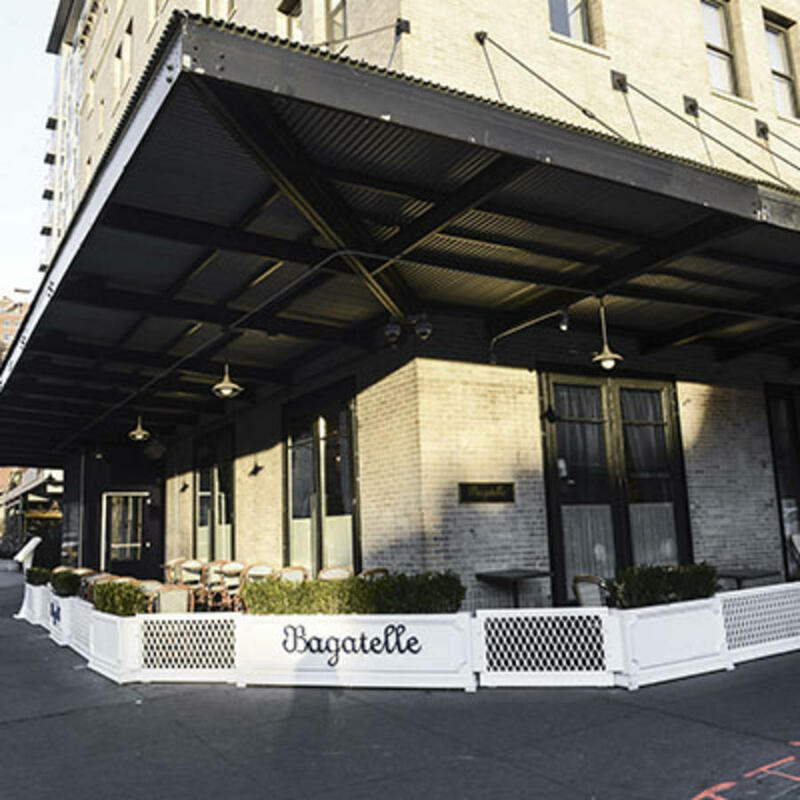 Bagatelle’s French cuisine rivals some of the best in the world, and its decor and fine dining echo throughout its beautiful establishment. Standout dishes include their Filet Mignon with Pomme Frites, Black Angus Bone in Ribeye, Roasted Chicken and Pizza a la Truffle Noire. Worth the quick trip down to the Meatpacking District.